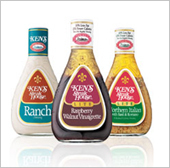 Intelligent Global Pooling Systems (iGPS Company, LLC) announced that Ken’s Foods will begin shipping its retail products throughout the U.S. on iGPS’ all-plastic pallets with embedded RFID tags. Beginning in early 2011, the producer and packager of more than 400 varieties of dressings and sauces will use iGPS’ RFID-enabled pallets, which are 100% recyclable and 30% lighter than pallets made of wood. 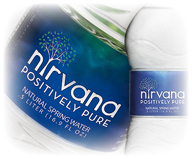 The pallets are environment friendly and do not absorb fluids that can cross-contaminate food. In addition, iGPS pallets do not harbor wood-boring insect, therefore never require treatment with toxic pesticides. And thanks to embedded RFID tags, shippers and receivers can track shipments throughout the supply chain.